Paytm Launched Coke offer Where you will get Rs.15 Paytm Cash in 1 Account via purchasing Coca Cola Bottles. This is Valid on All Coca Cola Company Bottles Like Maaza , Thumbs Up etc But you have to purchase Above 2L to Eligible for free Paytm Cash Code. This deal is Different from Before Shared Tide Offer , Hide & Seek, Devayaa Products Because in this Deal they will Provide you sms code which you have to Verify on their server and in Reply you will get Paytm Add money Cash Code so one User Can avail Offer 1 time With Maximum Rs.15 Paytm Cash via Coca Cola Cold drinks Bottles. 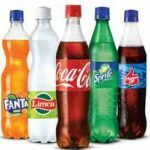 If you have Paytm Coke offer Code then Visit Add Money Page (https://www.paytm.com/coke) and Get Free Paytm Cash on Every Sprite , Thumbs up , Fanta , Limca Bottles. Now Enjoy Coca Cola Coke Soft Drink with 50% Refund in Paytm, Yes You will get Flat Rs 15 Cashback. This Paytm Coke Offer Validity Period Which is From 15th July 2018 to 30th September 2018 Who will Purchase Coca Cola Bottles of At least 2L they will get Rs.15 Paytm Add money code & On above 750ml Will Get Rs.15 Paytm Cash on 1st Purchase. 1 How to Get Paytm Coke Offer & Code ? How to Get Paytm Coke Offer & Code ? Firstly you have to Buy Latest Coca Cola Company Cold Drink Bottle (Coke/Sprite/ Thumbs up/Fanta 2/2.25L Bottle, Limca 200ml Bottle, Thumbs up charged 500 ml) With Mentioned Paytm Offer Banner on it. Now Find 14 Digit Unique Code Behind the Label on Bottle. Now You have to Activate it by Below Steps before apply on Paytm. Every time we Direct Enter code on Paytm & Cash Added in Our account but this time we have to activate & Get New Code via Sms to get Reward. To activate Paytm Coke code , You have to Send Sms in Below manner. Open Messaging >> Compose New Sms. Enter the code Which you got Behind the Label. Done ! Within Few Minutes You will get New 14 Digit Paytm Add money Cash Code. Visit paytm Coke code Redeem Page [ Click Here ] or Open https://paytm.com/coke in Your Browser. Now enter code which you got via Sms After Activation. Done ! 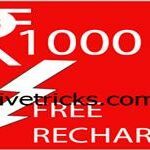 Your Free Paytm Cash will be successfully Credited In your account. Offer is Valid from 15th Jul 2018 to 30th Sep 2018 after this You Can’t Redeem Code it will Shows Expired. Coca Cola Bottles Also Available in Market without This Paytm Offer. You must Have to Activate & Get New Code via Sms to Applicable on Paytm. If you don’t have Account on Paytm then Create new one because Before Proceed step You have to Login. You Can Redeem Only First Cashback Offer via above Steps to Use other Shopping Codes you can directly Use On Paytm Mall App / Site at Payment page. Open Paytm Mall App or Site. Now Make Your Cart According to Your Code Number. Then At Payment Page , Apply & Get Cashback After Successful Transaction. On first Transaction You get Paytm Cash upto Rs.15. On Second Code activation You will get Paytm Mall Rs.50 Cashback code on Rs.150+ Shopping on App or Site. On third Code activation You will get Paytm Mall Rs.100 Cashback code on Rs.300+ Shopping on App or Site. On 4th Code activation , You will get Paytm Mall Rs.150 Cashback code on Rs.450+ Shopping on App or Site. Discussion on "Paytm Coke Offer :Free ₹15 Paytm Cash Code on 1 Bottle"